What causes physical, emotional, and mental illness? In a word, Toxic Socialization. The damage from toxic socialization is profound, and can range form “simply” psychology, to profound disconnection, to taking one’s own life. In this article written for The Conversion we look at suicide as one of the tragic long term consequences of chronic toxicity. Every 40 seconds, another human life is taken by suicide, according to World Health Organization data. In Canada, a new report reveals that young people between the ages of 15 and 19, who are struggling with mental illness and addiction, have the highest rates of suicide attempts. Middle-aged men are also at high risk, as are children and youth in First Nations communities who live with the legacy of trauma perpetuated by colonization and the residential school system. World Suicide Prevention Day this Sunday provokes us to pay attention. Suicide is a silent epidemic that ruins lives and devastates families and communities. As a researcher, I have been examining and researching the factors that contribute to the blossoming of human potential, and the factors that undermine its full realization, for close to two decades. Suicide is the ultimate subversion of human potential. Why are so many teenagers taking their own life? One factor is what I call “toxic socialization” — a process of physical or emotional childhood and adolescent abuse. Those who grow up in toxic environments are up to 12 times more likely to experience addiction, depression and to try to commit suicide. Remarkably, more than 90 per cent of people who succeed at suicide have been diagnosed with depression or some other mental disorder. If we want to understand why people commit suicide, we have to understand what makes them depressed. Like suicide, depression is complicated and caused by many factors. One important contributing factor is childhood and adolescent abuse in a “toxic socialization” process. Socialization is the process where we are trained — by parents, teachers, priests and others — to be citizens of our societies. Toxic socialization is when this process is characterized by neglect or ongoing physical and emotional abuse. The violence of a toxic socialization process is typically justified as beneficial in some way to the process. “Spare the rod and spoil the child” is the prototypical justification. Agents of socialization hit, scream, intimidate, threaten, shame and exclude because they feel that violence — such as spanking — turns out a better adult product. But it doesn’t, at all. Toxic socialization — including corporal punishment, emotional abuse and the childhood trauma that is associated with it — contributes to negative behaviours. Children who are exposed to maltreatment, violence in the community or marital violence in families struggle with many forms of mental disability, including anxiety, alcohol dependence, eating disorders, personality disorders and depression. Why does the violence of a toxic socialization process contribute to depression and suicide? That’s a complicated question to sort out, but it’s certainly linked to the neurobiological and endocrine damage that results from chronic exposure to the stress of violent environments, especially during the critical early years of childhood and adolescence. The impact is made worse when perpetrators are people who are supposed to protect and nurture, in environments that are supposed to feel safe and secure. A staggering one in three Canadians has experienced abuse before the age of 15, according to a 2016 report from the Chief Public Health Officer: A Focus on Family Violence in Canada. In 2014, 131 Canadians also died at the hands of a family member, and there were 133,920 reported victims of dating or family violence. How do you reduce the risk of depression, mental illness and suicide? The first step is to put an end to this toxic socialization. We have to stop using violent methods such as spanking, and emotionally abusive methods such as shaming, to “teach” our lessons and control a child’s behaviour. In order to take this step we will, as a society, have to stop justifying abuse in any form. There is no evidence to support the notion that violence in the socialization process contributes to strong, healthy, well-adjusted adults. In fact, the evidence points in the opposite direction, that toxic socialization damages us and costs us as a society. 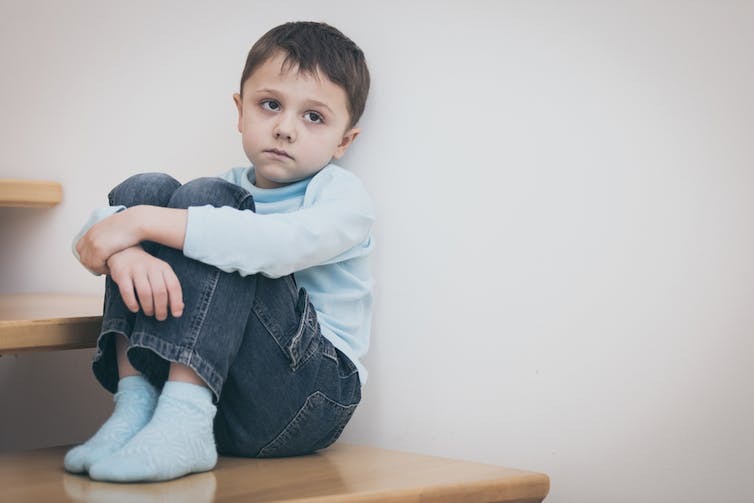 One research team has estimated the burden of child maltreatment in the U.S. alone at over half a trillion dollars per year. It’s simply not the case that if we “spare the rod” we “spoil the child.” On the contrary, if we want our children to be healthy and well-adjusted, and if we want to save this planet trillions of dollars, we should immediately halt all forms of violence against them. If you are a victim of a toxic socialization process, what can you do to heal yourself? The first step is to stop telling yourself that violence against you is OK. Violence you experience does not make you a better or stronger person. It damages you. Instead, end your exposure to all forms of violence. This can be a challenge if you find yourself trapped in an abusive marriage. Organizations such as Stop Abuse in Families (S.A.I.F) in Alberta can help. Ending your exposure to violence can be a challenge when ending it means ending toxic family relationships that may have endured for decades. Even as adults, we can find it difficult to draw boundaries around abusive parents and siblings. We fear the loss of these relationships, long for the love and support they are supposed to provide and cling even when they cause us serious harm. The next step is to get treatment. A therapist can help you examine the relationships in your life for evidence of toxic socialization. They should be willing to work with you to help you understand the damage these relationships cause. They should be willing to help you heal the trauma involved. The decision to commit suicide is complicated, but enduring toxic socialization is a significant factor. On the occasion of World Suicide Prevention day, let us be clear that violence perpetrated against children in the name of training them to be members of society is wrong. If we are going to make any progress against the growing mental health crisis and suicide epidemic in Canada and globally, then we need to change how we raise, educate and socialize our children.